Mt. Pleasant Man Charged With Stealing Vehicle. 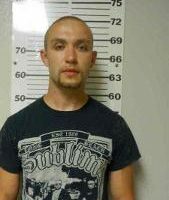 The Henry County Sheriff’s Office responded to a report of a burglary suspect from the Washington County Sheriff’s office. According to a press release, a ford ranger had been stolen from Wayland. Deputies located the vehicle in Mt. Pleasant and took 25-year-old Taylor Wood into custody for the theft. He was charged with second-degree theft in the case.